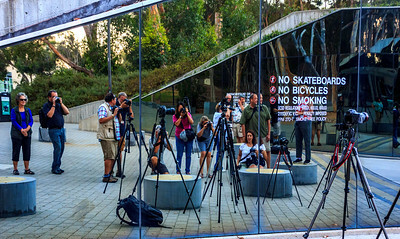 Our photo meet-up group, Pacific Photographic Society (PPS), once again coordinated a wonderful photo shoot. 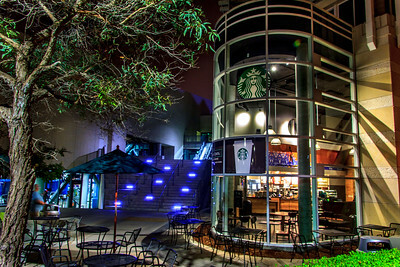 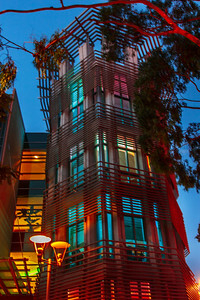 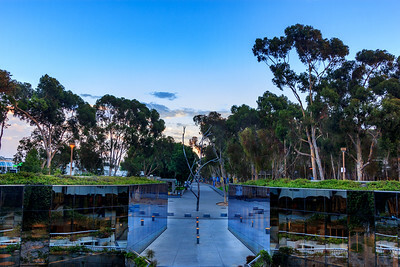 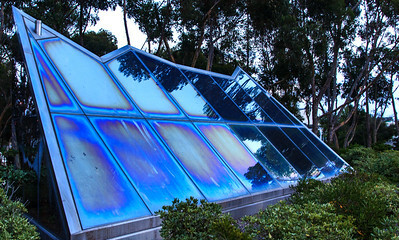 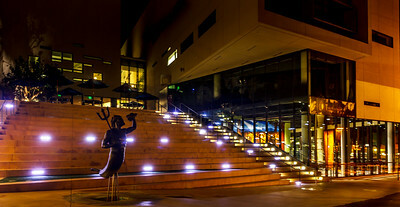 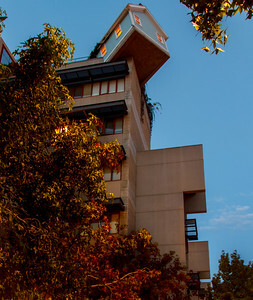 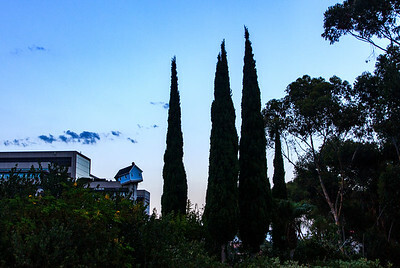 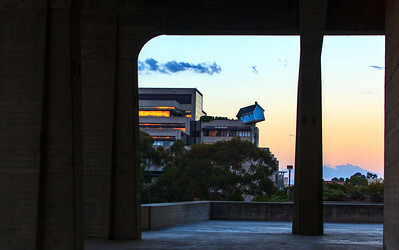 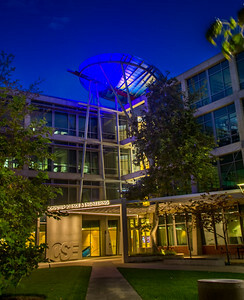 This was an evening shoot of the architecturally interesting University of California San Diego. 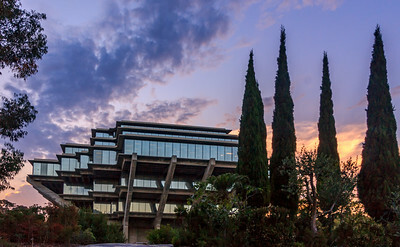 It was a week before the fall semester began, so the campus was extremely quiet and empty. 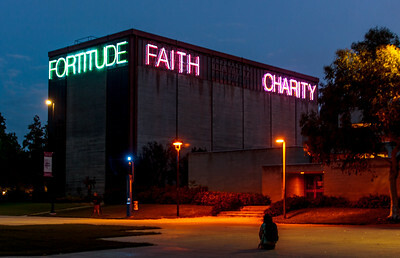 As we were taking photo's, a young man gave me his camera and asked if I'd take several pictures of him in front of it. 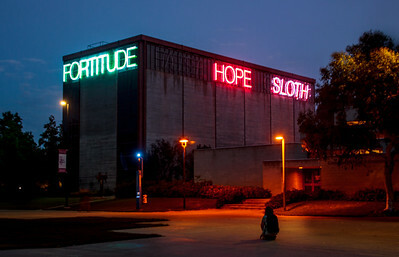 Due to his heavy accent, I asked where he was from and he told me he was visiting from Russia. 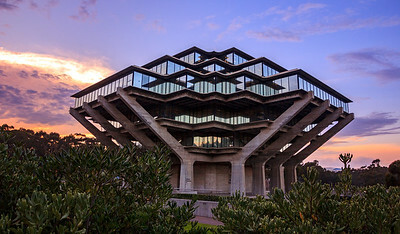 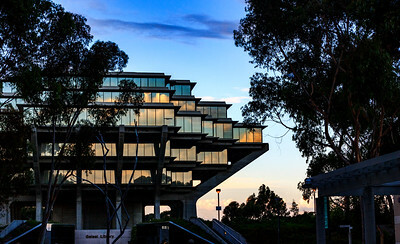 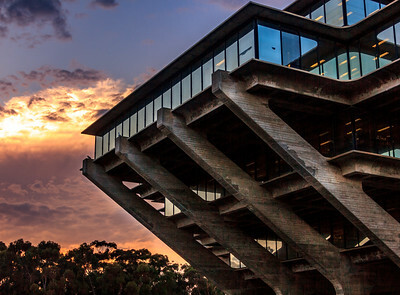 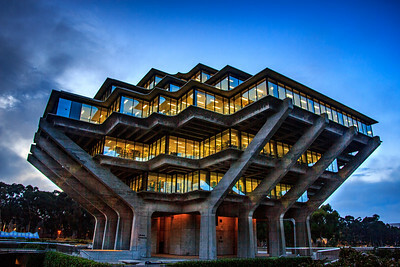 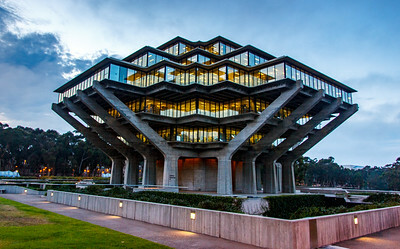 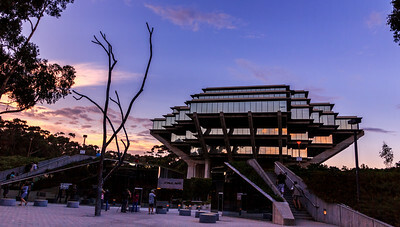 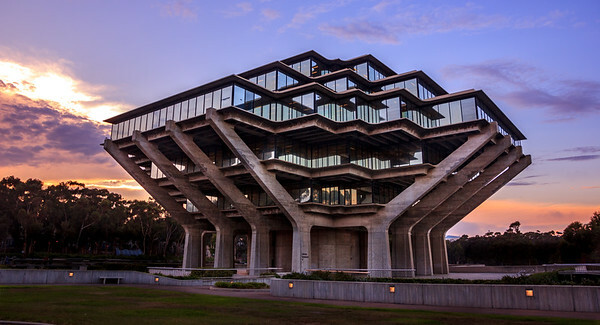 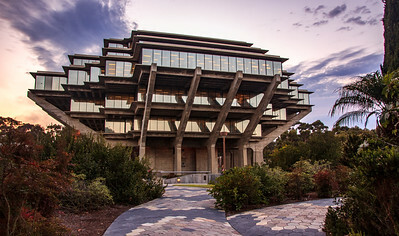 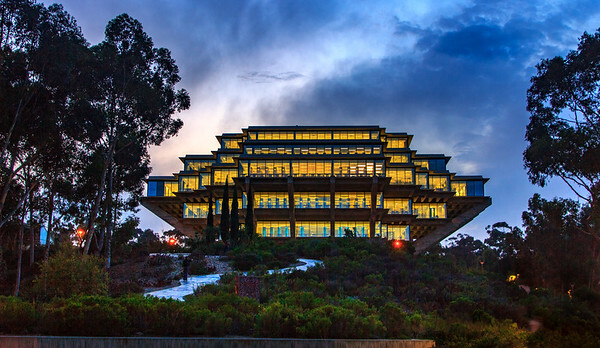 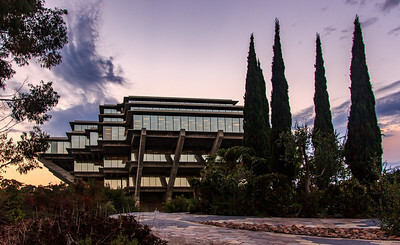 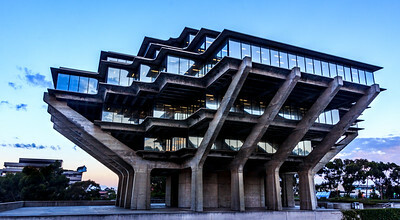 As part of his US travels, he came to San Diego specifically to see this UCSD Library. 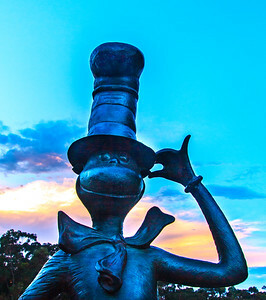 He was overwhelmed - said it exceeding his expectations! 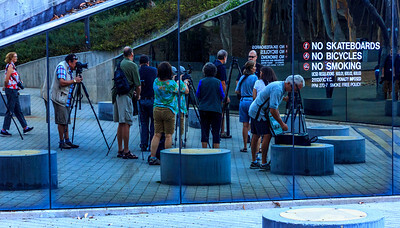 There were about 20 of us on this meet-up. 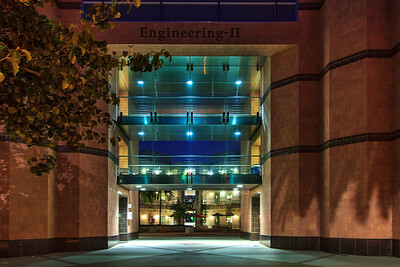 We met at 6 pm, and wandered the campus until 8:30 pm. 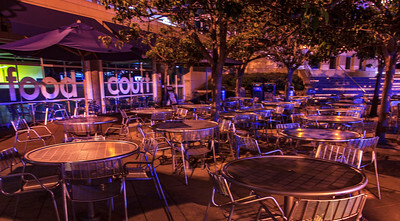 Sunset wasn't until about 7:20, so our initial shots were at dusk. 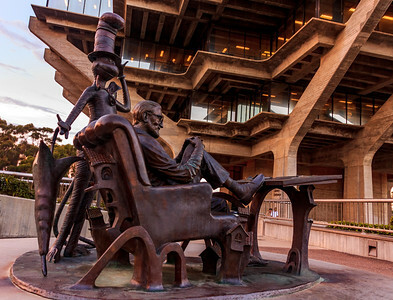 Another fun photo shoot of the diverse opportunities within San Diego County. 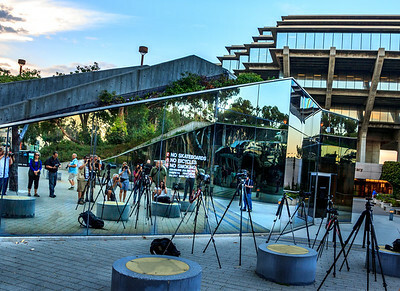 We value PPS for coordinating these and getting us out and about shooting various sights around San Diego.